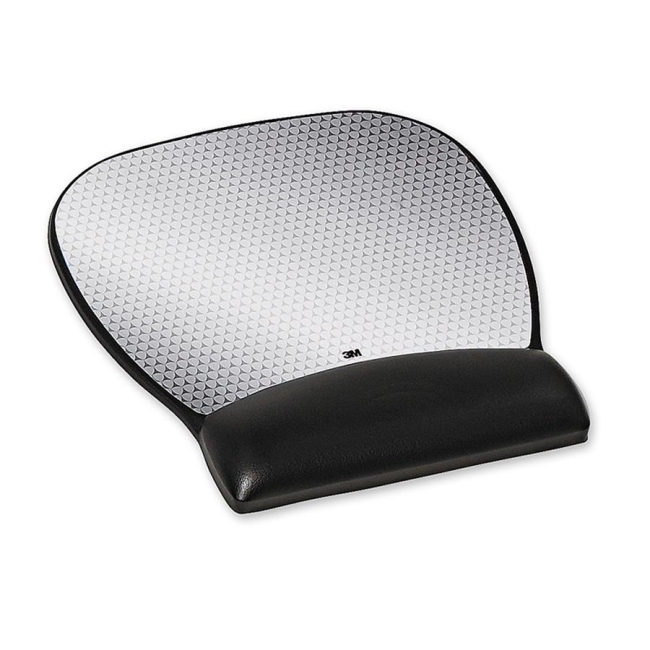 Mouse pad with wrist rest features 3M Precise Optical Mousing Surface for better performance and gel comfort to encourage neutral wrist posture. Mousing surface extends battery life of wireless mice up to 75 percent. Antimicrobial additive inhibits the growth of microorganisms, such as bacteria, that can cause stains, odors, and product degradation. 3M Precise Optical Mousing Surface is designed to optimize light reflectivity and contrast to improve the tracking of your optical mouse. The valleys in the microtexture of the Precise optical mousing surface catch dirt while your mouse glides on top of the peaks for improved high speed traction. Large mouse pad has a nonskid base.